W Diamonds Co are a British brand that offer some serious sparkle in their gorgeous diamond jewellery, rings, necklaces you name it they've got it. I was thrilled to find a while ago I'd been chosen to receive a gift card simply by following them on Twitter, it wasn't only just a wonderful surprise but a complete shock - I had know idea that they were even running this promotion. I decided to put the gift card to some good use and put it towards something, I had my eye on a few pieces including the Bedgebury pink love heart ring here or the Crawford pink ring here I settled for something a little cheaper and within my price range, don't get my wrong this company offer a wonderful selection of stunning jewellery at really affordable prices with both my rings being more then affordable, but I'm saving for my holiday, if I wasn't I'd of snapped them up in a heartbeat because they are absolutely gorgeous. 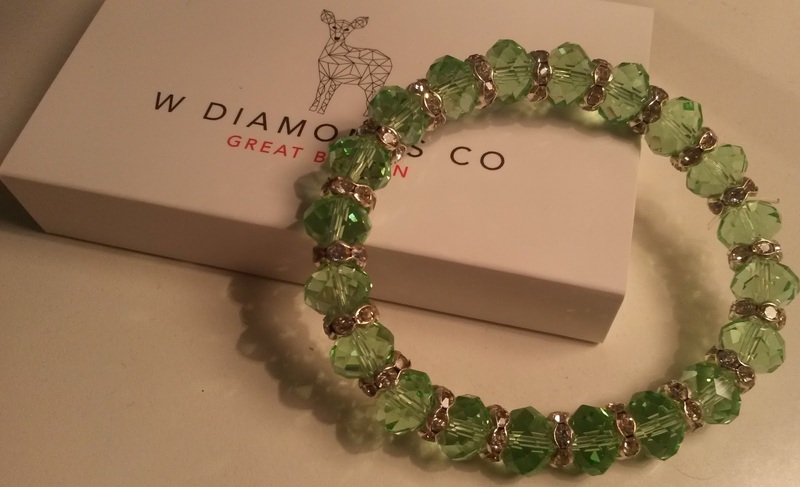 I went for this gorgeous Langton green crystal bracelet that isn't online anymore but they do have other shades available. I love this bracelet and been wearing it more or less everyday since it came through the post and it was just £15. I wasn't expecting much packaging wise but I got more then I bargained for with this super stylish packaging teamed with a ribbon. Delivery is free and was super speedy. 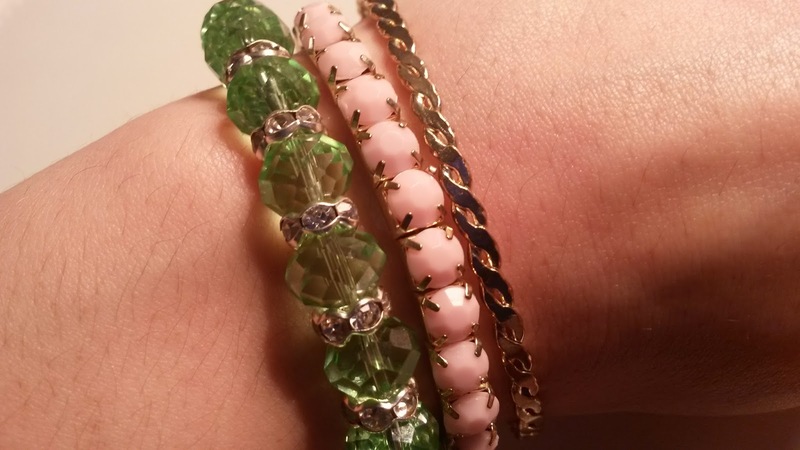 The bracelets very versatile and can be worn with a stack of bracelets, I think it will look awesome with a lot of gold but I have an obsession with pinks and greens together and put it with my other new bracelets. This particular piece is very good quality and the perfect colour for spring/summer. I like to wear my bracelet with others. 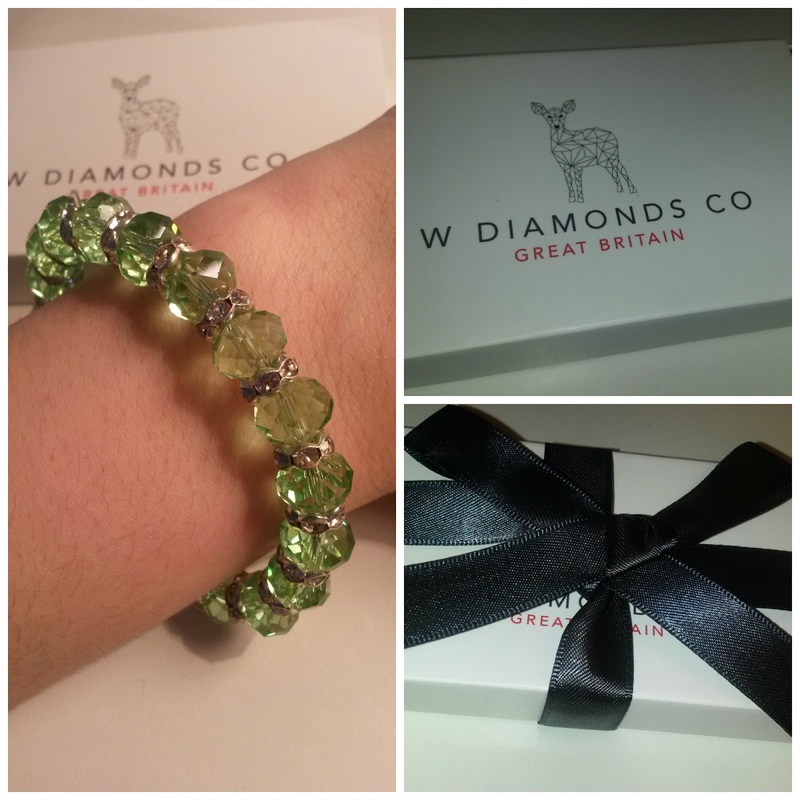 You can shop at W Diamonds Co here. This is so pretty, lovely colour. I'll have to check out their website tomorrow to see what else they have. Such a pretty bracelet, xoxo.